*In August 2018, Bayer completed the $66 billion takeover of Monsanto. The 2019 index reflects company activities in the 2015-2017 period, prior to the takeover. Thailand-based East-West Seed tops this first South and Southeast Asia Index. The company is built around a smallholdercentric business model, which is reflected in a client base made up almost entirely (98%) of smallholders. The five highest scoring companies are globally active. Their roots are in the region (East-West Seed, Advanta) or they have had breeding, production and distribution activities in the region for a long time (Bayer, Syngenta, Corteva). Global companies generally employ the same business model and extensive portfolio across markets, whereas regional companies typically have strong programs to support smallholder farmer productivity in their home country but confine their activities abroad to sales and offer a smaller portfolio. This limits the scores of regional companies, as the number of countries where a company is present as well as the extensiveness of its activities in those countries are taken into account. The highest scoring regional company is Acsen HyVeg, in sixth place, which leads the way in providing open-pollinated varieties alongside hybrids for its full portfolio. Namdhari Seeds, ranking seventh, has a strong smallholder farmer focus in its operations and is one of the few companies that specifically target women farmers. Most measurement area rankings are topped by global seed companies but that the ranking for Research & Development shows a different picture. The highest ranking company in this area, East-West Seed, is followed by four regional seed companies, which makes the top five in R&D an exclusive domain for companies that originate in the region. This is thanks to their breeding programs, which also tend to include local crops, thereby supporting regional agricultural biodiversity, as well as specific traits that are relevant for smallholder farmers. Companies at the bottom of the ranking generally score low due to a lack of disclosure. This is unfortunate, as regional companies like National Seeds Corporation (India), Punjab Seed Corporation (Pakistan) and Vinaseed (Vietnam) are known for supporting smallholder farmer productivity in their home market. Similarly, Nongwoo Bio (South Korea) and Sakata (Japan) are world-class vegetable seed companies, with great potential to support smallholder farmer productivity. However, a lack of disclosure means it is unclear whether they have the ambition and activities to realize this potential. The Access to Seeds Index evaluates leading seed companies with an integrated seed business model (including breeding, production and distribution) and activities in food crops. The selection of global companies is based on seed revenues, presence and portfolio, while the selection of regional companies is the result of landscaping studies of national seed sectors to identify leading companies in each region. The methodology development is overseen by expert review committees, composed of global experts and experts from the regions. 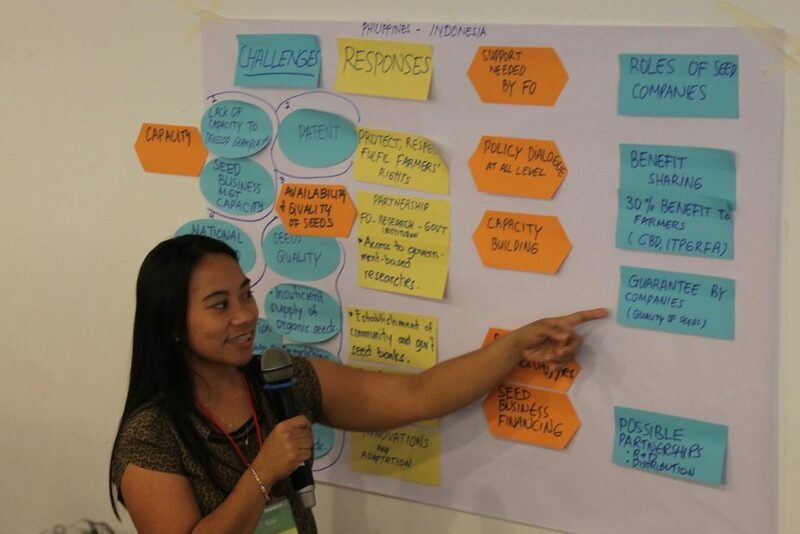 The landscaping studies resulted in the selection of 24 seed companies for the Access to Seeds Index for South and Southeast Asia. Evaluation of company performance is based on publicly available information as well as information provided through active company engagement. Three-quarters of the selected companies disclosed additional data via a questionnaire. The index therefore offers insights not yet available in the public domain. The index is a relative ranking, which compares companies with each other rather than against an absolute, ideal state. As such, companies set and raise the bar. The index uses a weighted scorecard approach to measure and compare company performance. A total of 59 indicators are grouped in seven measurement areas. Each measurement area has four categories of indicators: Commitment, Performance, Transparency and Leadership. A company’s overall score is the weighted sum of the scores in each measurement area. 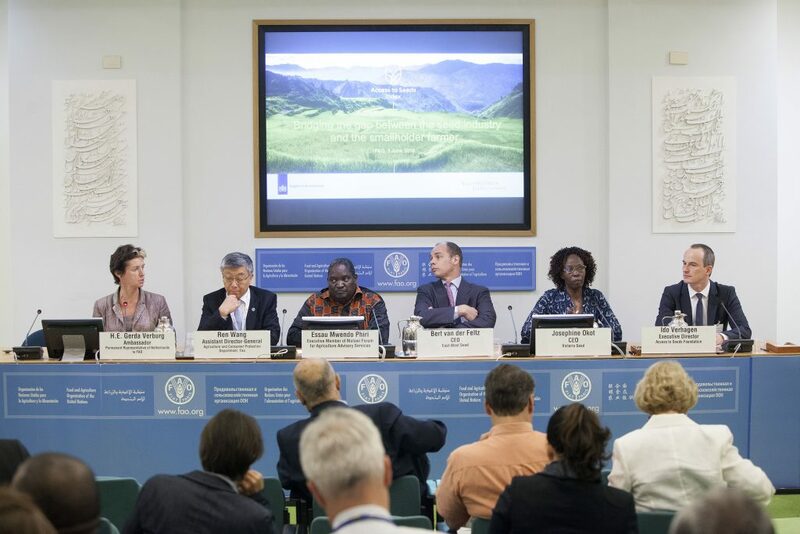 The initiative to develop an Access to Seeds Index for South and Southeast Asia was announced at the FAO in Rome, Italy on June 3, 2016. 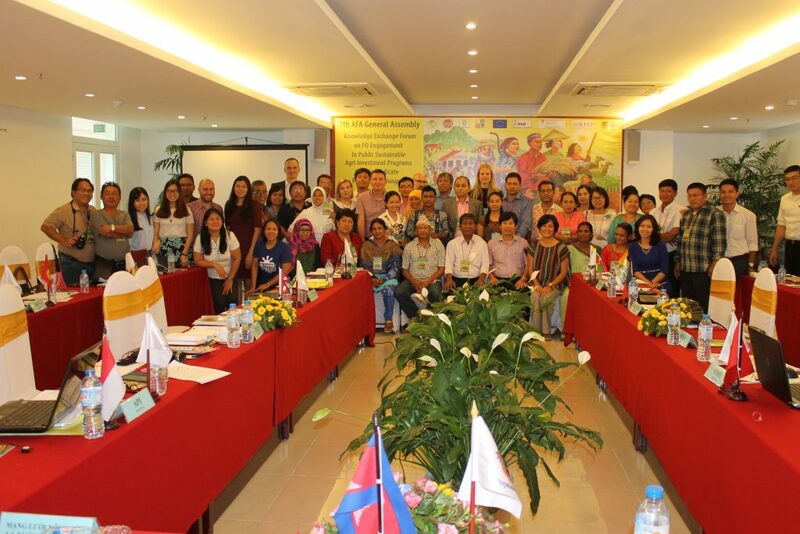 The Asian Farmers’ Association for Sustainable Rural Development endorsed the initiative at its General Assembly meeting in Hanoi, Vietnam on August 6, 2016. 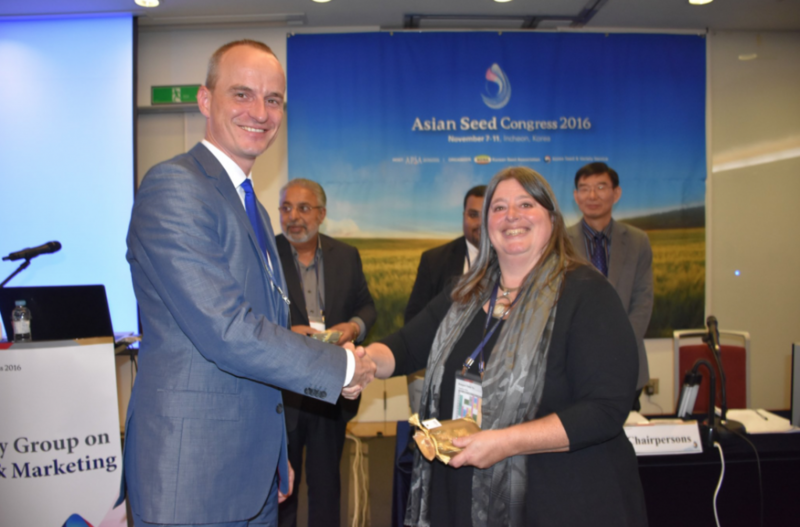 At the 2016 APSA Seed Congress in Incheon, South Korea, the plan to develop the Access to Seeds Index for South and Southeast Asia was presented to the regional industry. Throughout 2016 and 2017, regional stakeholders provided input for the methodology during workshops or individual consultations. 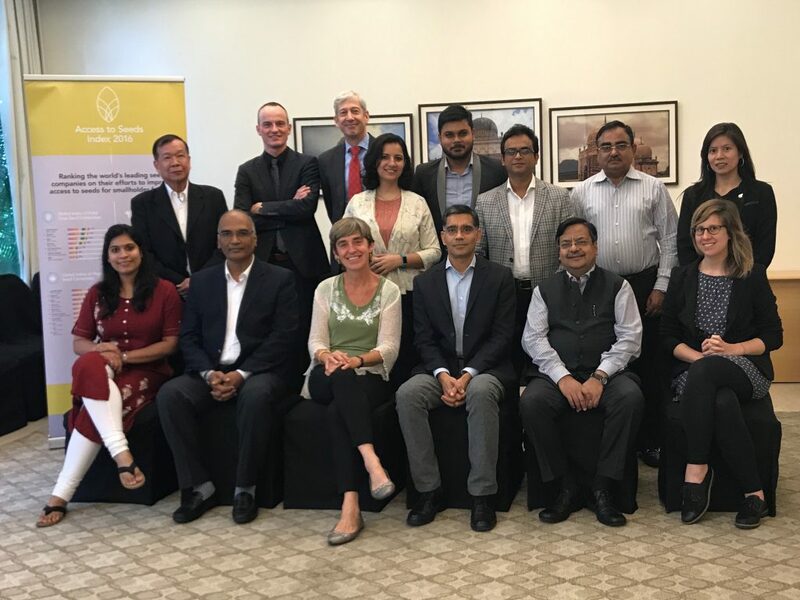 Seed experts from South and Southeast Asia met in Hyderabad, India on October 24, 2017 to discuss the methodology for the regional index. 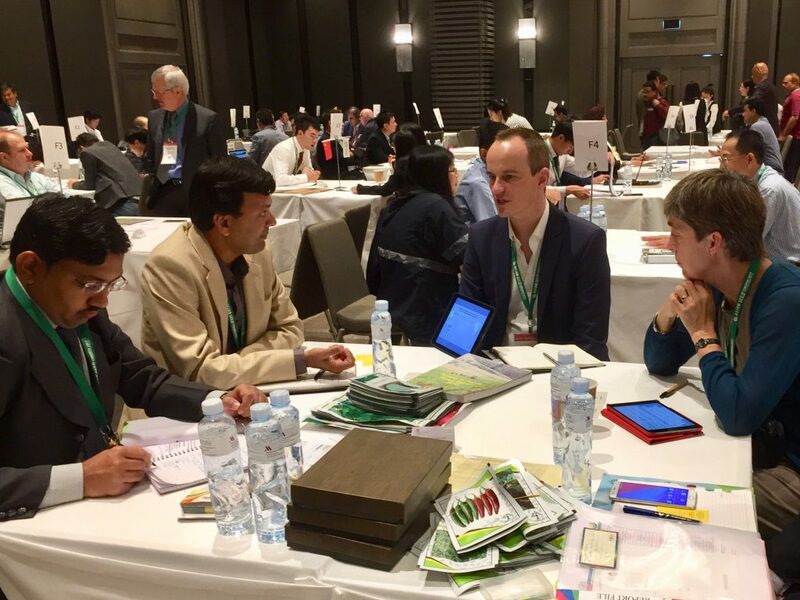 At the 2017 APSA Seed Congress in Bangkok, Thailand, the Access to Seeds Index team met with several of the companies included in the Index for South and Southeast Asia, and outlined the selection and data collection process.